“Saturday Night Live” did prepare jokes about disgraced Hollywood mogul Harvey Weinstein for last weekend’s show but cut them before the live broadcast, TheWrap has learned. The popular news segment “Weekend Update” had a Weinstein joke at dress rehearsal that “didn’t land” with the audience, a person who attended the taping told TheWrap. 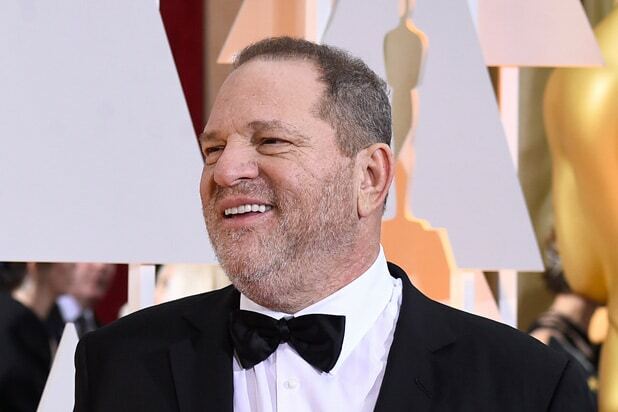 There was also a “reference” to Harvey Weinstein in a sketch, the individual said, but the skit in general “didn’t get a lot of laughs” in the show’s extended run-through. It was cut for the live broadcast performance at 11:30 p.m. ET. A rep for the show has not responded to TheWrap’s request for comment. Many have criticized late-night comedians, including “SNL,” for failing to call out Weinstein in the wake of bombshell revelations of sexual misconduct that ultimately led to his firing from The Weinstein Company. On Tuesday, MSNBC morning show host Joe Scarborough slammed “SNL” Tuesday for not going after Harvey Weinstein on last weekend’s episode, which was hosted by “Wonder Woman” star Gal Gadot. The cut sketch was an episode of “Actress Round Table,” a recurring skit in which Kate McKinnon plays former Hollywood “It girl” Debette Goldry. The main joke of the scene is how truly horrible Tinsel Town used to be for up-and-coming actresses, which is kind of the perfect setting for a Weinstein punchline. “SNL,” which often uses its cold open for newsy topics, devoted the space to country artist Jason Aldean, who honored both the victims of the prior Sunday’s Las Vegas massacre and Tom Petty. Expect this coming episode, which is being hosted by “Silicon Valley” actor and stand-up comedian Kumail Nanjiani, to hit the Weinstein stuff — and hard. It’s also worth noting that Michaels is an executive producer on both “The Tonight Show” and “Late Night With Seth Meyers,” which both blasted Weinstein Monday night. Scarborough aimed his powerful megaphone at his own parent company NBC and network icon “Saturday Night Live” — including calling out Lorne Michaels by name. The rant continued from there. Your move, “SNL.” The NBC sketch-comedy staple airs live coast-to-coast this Saturday at 11:30 p.m. ET.